"She was doing her job, and called it like she saw it." 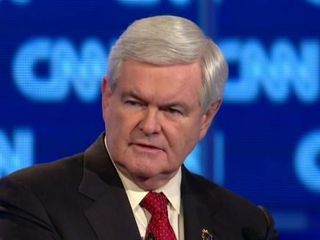 Newt Gingrich said it was wrong for questions about his infidelity to be raised during tonight's debate. 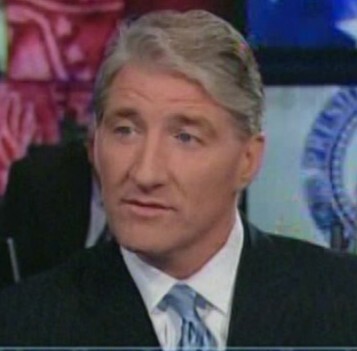 He ripped into John King, CNN's debate host. King showed his class by not giving it back to Gingrich who apparently doesn't believe that being President of the United States is entirely about character..and loyalty, and honesty. Maybe Newt Gingrich has asked for God's forgiveness for his hypocrisy, lying, and cheating. But American's aren't as forgiving for what Gingrich tried to do to Clinton during his second term. Trust and loyalty are two important traits I want to see in my country's President. Gingrich has neither of these. Susan Roesgen is an alleged reporter for alleged news channel CNN. TVNewser reports that Roesgen wrapped up the interview "over shouts of, 'You're not a reporter.'" MAN: Can you stop this, sir? Hold on, hold on. ROESGEN: OK, well, Kyra, we'll move on over here. I think you get the general tenor of this. Uh, it's anti-government, anti-CNN, since this is highly promoted by the Right-wing conservative network, FOX. And since I can't really hear much more, and I think this is not really family viewing. Toss it back to you, Kyra. KYRA PHILLIPS: I know Susan Roesgen is having a hard time hearing me, but wow. That is the prime example of what we're following across the country there. Susan pointed out everything plain and clear of what she's dealing with. Roesgen was debating the man, not doing an interview. She was spewing the Dems' talking points. Roesgen obviously came armed with her lines about tax credits and $50 billion in stimulus money for Illinois. CNN was definitely out to advance the Obama party line. According to TVNewser, a FOX spokesperson said in response, "Judging by their lack of ratings, everyone seems to be anti-CNN." TVNewser reports that Shepard Smith referred to the incident. "I've just learned it's Anti-CNN day. I know, right? I had no freakin' clue." Later: "Just a minute ago, that Susan Roesgen, from that CNN, that people used to watch a long time ago..." And still later: "Anti-CNN? Who's anti-CNN, settle down Susan! Come on girl." And even later: "Poor Susan Roesgen, nobody hates you, everybody ... we love the CNN. Relax everybody. Don't get your hate on." I suppose she was doing her job, CNN-style: Roesgen bashed FOX and hard-working Americans. Read the Left's reaction to Roesgen's segment, from Democratic Underground.